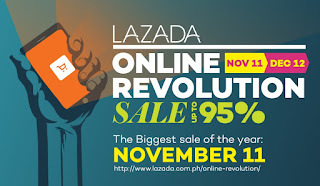 Get Your Shop On with LAZADA Online Revolution! If you’re an avid online shopper like me, you will surely have heard of LAZADA. Lazada is an online platform market for international and local merchants to list their items, and is a leading e-commerce website in Malaysia. 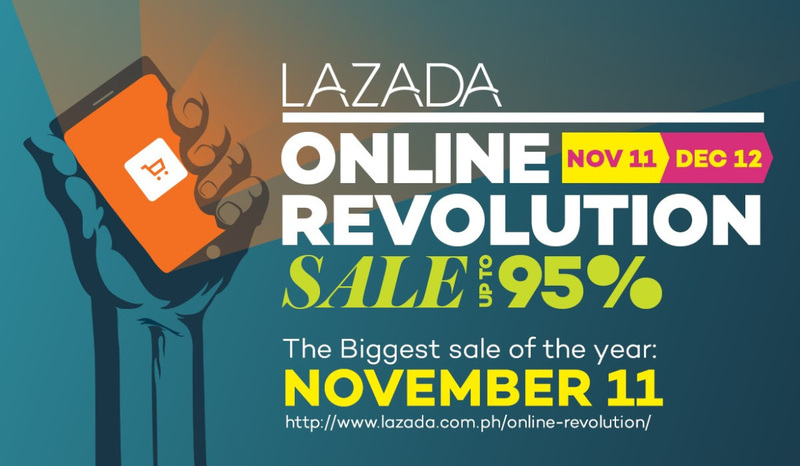 This year, Lazada ( http://www.lazada.com.my/online-revolution/ ) is unveiling biggest online shopping event to date, which is their fifth Online Revolution with participation of more than 1000 brands and 55,000 local and international merchants. That is a lot! The theme for this year Online Revolution is Brands for All, and that includes us, beauty maniacs! Apart from household names such as Drypers, Nestle, Samsung, Microsoft, Tesco, Mattel, ZTE and ProDiet, the Online Revolution will also include beauty brands such as L’oreal. It is definitely a one-stop online mall for all household needs. This is a month long event that will take place from 11 November 2016 to 14 December 2016, which of course will provide you ample time to shop! It doesn’t matter where do you live because with LAZADA you’ll have the access to all luxury and high quality brand without having to move away from your comfort. One of the promotion that I’m really looking forward to is the 3 Days Deal on 12 December as well as the Black Friday and Cyber Monday starting on 25 November to 28 November. For this Online Revolution, I was sent a Parcel of Joy from Lazada, to encapsulate the visual of what they meant by Brands for All. In this parcel I received a Milo Ola Bola weekender bag, Nescafe White Coffee with Pandan Flavor, a Tefal Manual Chopper, 2 variety of Maggi Instant Noodle, a Lactokid pouch (that is super cute and definitely going to be one of my makeup pouch), a MamyPoko Gentle Wipes (that can double as a wet wipe for my hand, face and brushes), a Cerealac Starwberry and Banana snacks (which is amazing and I know that because I do enjoy toddlers snacks hehe) some pens and the most importantly LAZADA voucher, which I’m going to buy some makeup with it, of course! The Maggi noodles were from the latest variety, and I’m glad that I got to try both Maggi Royale White Tomyam and the Maggi Oatmee Mee Goreng with curry flavor. The Tefal chopper is amazing, me and my sister was amazed on how quick it chopped our onions for our meat patties. Score! No onion smelly hands. Also, the Cerealac puffs is so delicious. Great for the kids and adults alike especially if you’re snacking healthy! All around, you can see how LAZADA embodies the perfect one stop shopping solution for all your needs. The interface of the website is wonderful and easy to use and honestly for me, I can’t wait to haul some more beauty products while enjoying my new treasures from LAZADA. Thank you LAZADA! This is an affiliated article. Products are sponsored by the companies. but opinions formed are solely my own.